I gathered all the questions that I had to answer while I was preparing the program and I hope they correspond to those that might concern you. If there is something I didn’t answer, I’ll be glad to add it in this text, if you send it by e-mail. What is the Dog Training Program “Find your Dog… Change your life”? 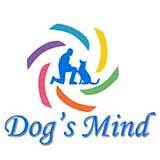 “Find your dog… Change your life” is a dog-training program that aims at the full apprehension of the dog. At the same time it’s a way to understand the distortion of our thinking, caused by our detachment from nature. The program was created on the axis of understanding the similarities between humans and dogs. Thus the comprehension of dog’s behavior is accomplished in a simple and easy way, that transforms the owner into a dog-training expert, in a brief period of time. Concerning the second part (Change your life), you can refer, as an introduction, to dogworld.gr texts. To anyone that has a dog. The reason for starting the program may be the need to train a puppy or a guard dog or to correct specific behaviors or even to help a guardian obtain a relationship with his/her dog that he/she hasn’t managed to obtain yet. No, it’s an eclectic approach. This program uses all the modern methods of dog training, functioning though in a customized way. It is based on the special need of every dog and every owner and it’s not a standardized training platform. A method cannot be addressed to something that is alive and constantly changing. You cannot predetermine the method you’re going to use with someone, without knowing who is he/she or which will be the contingencies in your common endeavors. The program, though, was founded on some basic principles, which are nonnegotiable. Some of them, as well as, the definition of what I consider training is presented in the article the triptych of training. Can you be a little more specific about these principles? It’s formed and put in action being based on your demand and not on the trainer’s beliefs, as it usually happens in training programs. So, the program starts with your request. You decide what your dog needs to learn, in order to understand each other better, without getting carried away by my opinion about what a dog is or which is the right way to live with it. If you ask for my opinion I can analyze my point of view. Through this procedure, it is important to understand that the only one responsible for your life with your dog is you. 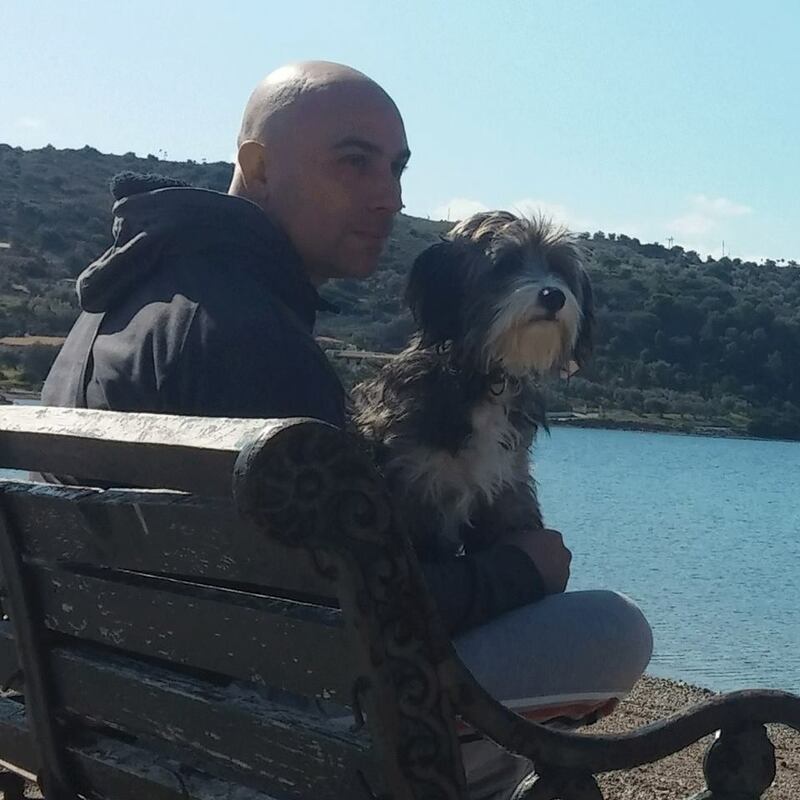 My experience has shown that even the most vivid description or teaching can not substitute experience; thus you have to go through the procedure of a wrong request in order to learn how to think and find what will really lead you to the co-existence you have dreamt of with your dog. In the framework of my pilot program, in many cases the initial request changed during the process. In that way, besides the knowledge that you gain, your relationship with your dog is kept alive and constantly changing and it doesn’t end up as a daily routine that has lost its initial magic. If you give your dog processed food, which contains preservatives or does not meet certain standards, you should be willing to change it. That will be done gradually and in collaboration with your vet. Nutrition is one of the basic factors that can determine behavior. A dog whose nutrition is mainly based on proteins and carbohydrates, can’t be blamed about being nervous and begin its training before balancing its nutrition. Furthermore, many times behaviors like aggression don’t stem from the dog’s experience, as a lot of people believe, but from the absence of nutritional elements that contribute to a healthy nervous system. A third factor that can affect behavior is the oxidization of the organism. Foods full of preservatives and taste boosters, result in a body constantly trying to heal, using all its power to fight the chemical “enemy”. The result is not having enough power to cover other bodily functions, as the function of the dog’s nervous system, which is essential for behavior and learning. Trainer will discreetly accompany during the program and in no case the image of the trainer bulks more than yours. The trainer is by your side coaching and suggesting solutions, without you fearing of not understanding his knowledge. Only in specific cases the trainer will be the one who will directly teach the dog a full concept or a behavior. The aim is neither for the dog to see me as superhuman, nor to substitute you in his eyes. Thus, to begin with, we will see if you can achieve the desired result through my suggestions. If we can’t achieve that, then and only then, the leash will pass in my hands, but in a way that will not slander your image. A lot of people complain about the fact that their dog demonstrates another behavior with the trainer or at the place of training and another one when they are alone with it. The best way to prevent this from happening is the above. You will have to learn to comprehend the way in which your behavior constitutes a constant teaching for your dog. I named that part Passive Training and relates to our reactions, based on which our dog forms its behavior. Believe me that this part on its own could lead to a perfectly trained dog. Also, you and your dog are a team, and in real teams everybody is willing to change for the benefit of the others. To a great extend, up until now the philosophy around dog training was based on what, unilaterally, should be changed on the dogs’ behavior, so that they don’t cause any problems in our properly functioning daily routine. In that way people end up seeing the dog as something that its behavior can be programmed, and sooner or later the greatness of their coexistence is lost. There are dozens of changes that can someone make and that can transform his/her dog’s behavior and also improve his/her quality of life. At the same time, the comprehension of our behaviors that teach your dog is such an unbelievable ground for self-awareness, that it would be a shame if someone didn’t benefit from his/her coexistence with a dog. This is where the chapter “Change your life” begins. It’s the most complicated part of the program and unfortunately this can only be answered during the process. Believe me, I’m not avoiding the answer, but the slightest description, at this point, would put you in a procedure through which you would lose this part before it even starts. The key, on which this part of the program was based, is what we talked about at the beginning…the similarities. Relationships are the mirror of ourselves and when you relate to something as pure as the dog, then the mirror reflects all your tiny details. Then you can decide about the changes. This depends on the request with which the program begins. A different amount of time will be needed for the basic training of a puppy and a different one for the correction of a behavior of an adult dog. The aim of the program, though, is to reach the desired result, as soon as possible. I don’t train looking at my watch and I would like those that I co-operate with to do the same. Each lesson lasts as long as we make sure that all of its concepts are understood by both parties (Human and Dog). The lessons take place where you live and activate. It’s necessary, thought, to visit together some other places, so that we ensure the dog’s optimal socialization. If I take the program for the basic training of a puppy, how old should my dog be to begin? The dog can begin even from its first day at home. The fact that the training takes place at your house, gives us the chance not to go out, before the completion of the puppy’s vaccination schedule. We can start by learning the rules of behaving in the house and the first words, so that by the time vaccination is complete, we’ll have a well-prepared student. Can I do the Basic Training or any other programs without necessarily follow the Find you Dog … Change your life” concept? Can I take one lesson and then decide if I will follow the program? You can take a training course, lasting for one lesson. You choose a simple request that can be covered within one lesson and get to know the program functioning. It’s important that your criterion will be a specific result and not just a notion. As you understand this cannot be answered unless we know your request. It is important to mention that I don’t belong to the prepaid professionals. I like to get paied for what I have offered and not for what I have promised. To ensure this I have found a special formula that you will allow me to discuss with you as soon as we meet. I would like to add, that if you belong to a vulnerable social group, as the unemployed, my fee will be nominal.